Sophisticated retreat style living… is 4 words ok?! 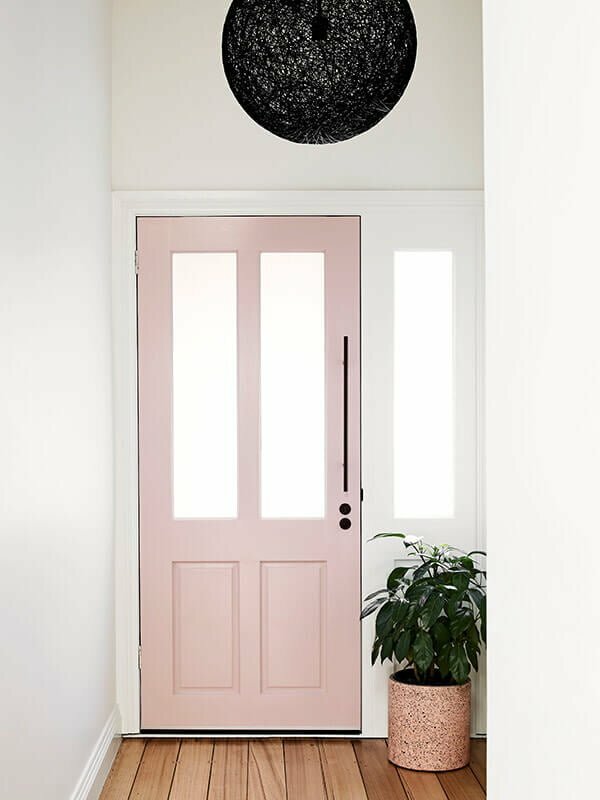 As life is so hectic these days, I love the feeling of retreating from the outside world the moment you walk through your door – everyday should feel like you’re on holidays at home. #1 declutter find a spot to store things that aren’t used on a weekly basis and donate anything not used for over a year to charity. 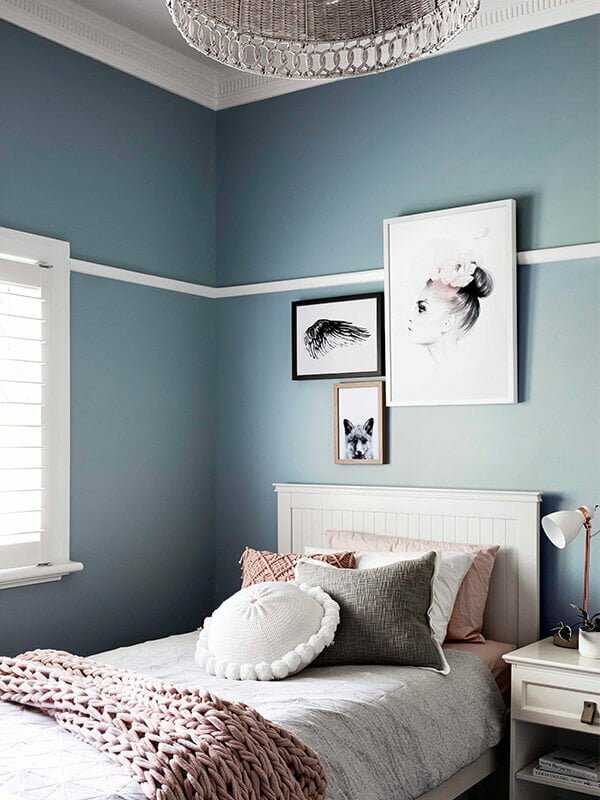 #2 add art and compliment with cushions to hero one of the colours – a selection of your favourite holiday pics arranged as a gallery wall, or a statement artwork by your favourite Melbourne artist is a great place to start – art is so affordable these days. #3 indoor greenery bringing nature indoors creates a sense of calm as well as being a great way to purify the air – we love Into The Wild for a great selection of plants and pots. 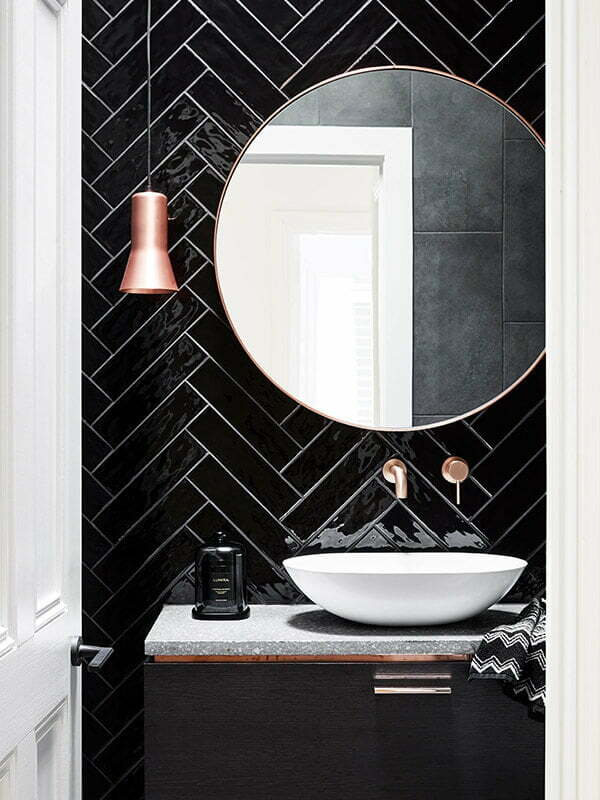 In your recent Glen Iris project recently featured on The Design Files, which was your favourite room to create? I was so fortunate to work with clients who had complete trust in my vision for their home, in fact they even let me interview their 3 daughters to create their dream bedrooms. Their youngest was quite determined not to have a ‘girly’ bedroom so I decided to embrace the fabulous view to the parkland beyond the bay window in her room. 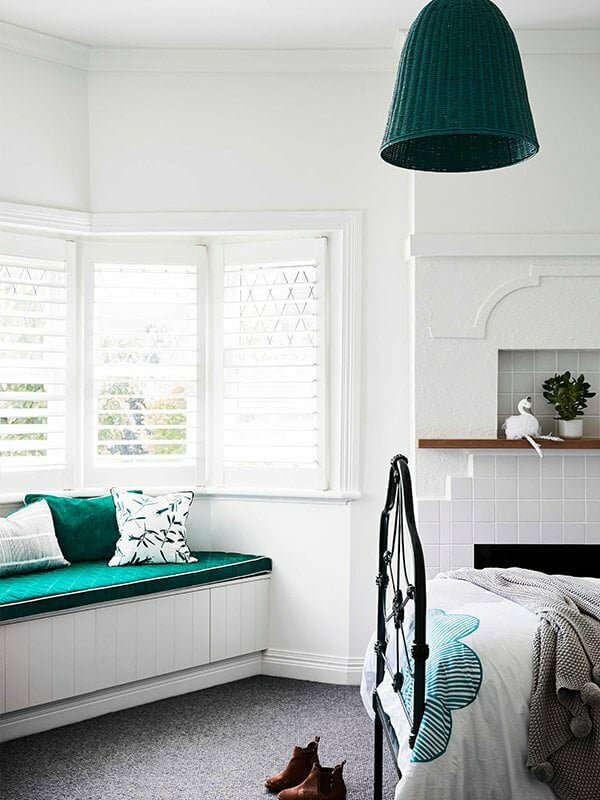 The resulting monochromatic colour palette with pops of emerald green is so striking and fresh, yet still includes a few cute elements for its young occupant (like the teddy swing arranged with a ‘oh the places you’ll go’ print from Hunting For George and a mini cloud light all arranged above the bedside table). We included two draws for extra storage in a new seat built into the bay window and chose fabrics from Ink & Spindle and Zepel for the cushions to compliment the black/white/emerald colour scheme. I also collaborated with Lucy from Little Louli to custom print her ‘Cloud’ quilt cover in a matching emerald which she mixed especially! 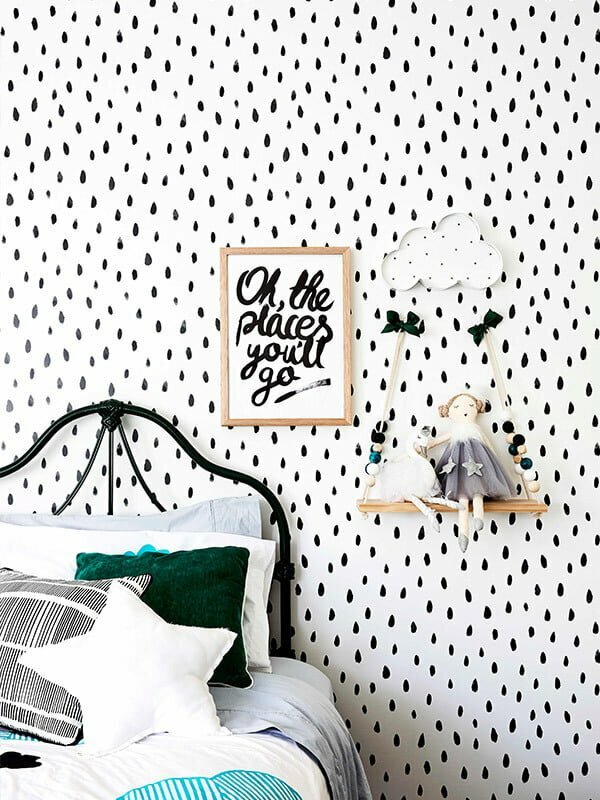 By designing so many bespoke elements for the room we were able to create something really unique for this gorgeous girls bedroom. 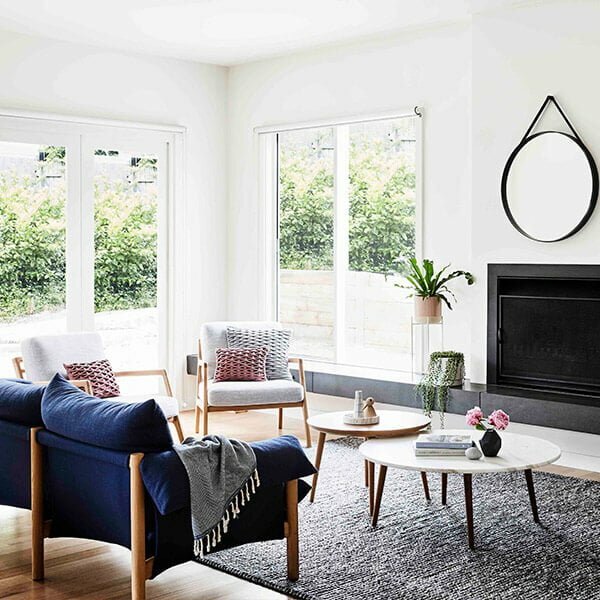 When and what made you start Maitland Street Interiors and more recently The Retreat Stylist? 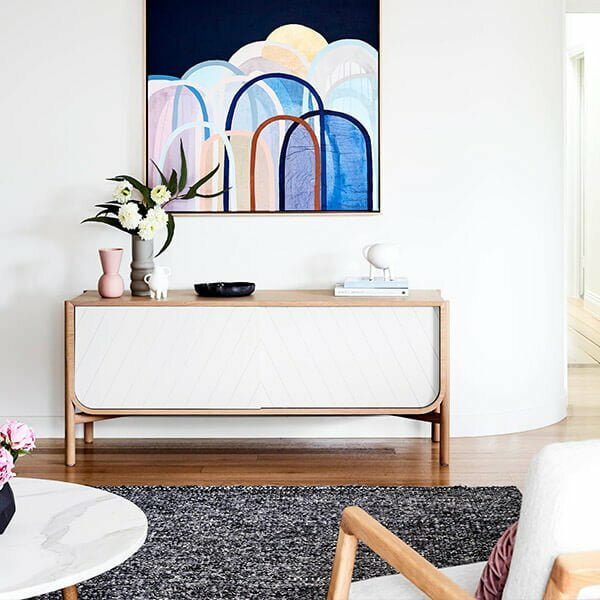 After 10 years in corporate marketing and events I was craving a more creative outlet beyond corporate life, and so decided to follow my passion for creating beautiful interiors and returned to study at RMIT before launching Maitland Street Interiors in 2016. 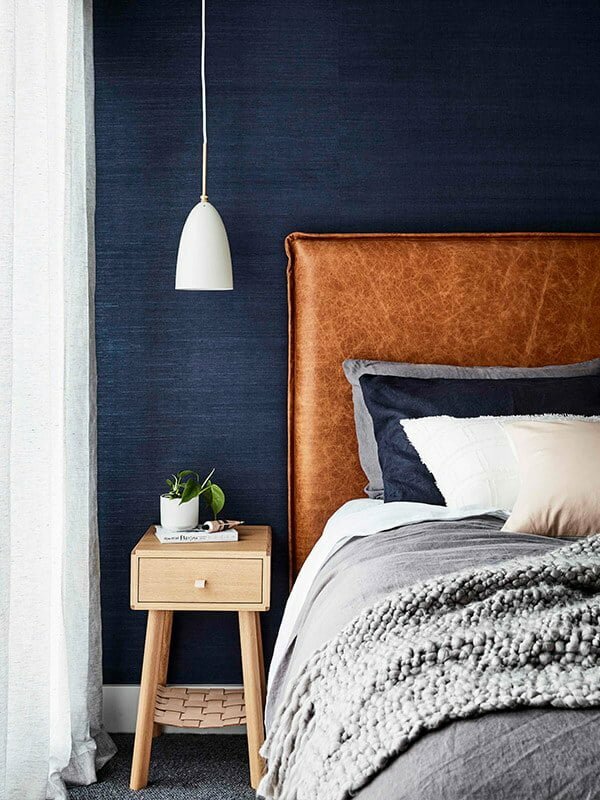 Since then my focus has been on creating beautifully resolved spaces that bring retreat style living into the home and directly impact the way people feel, every day. 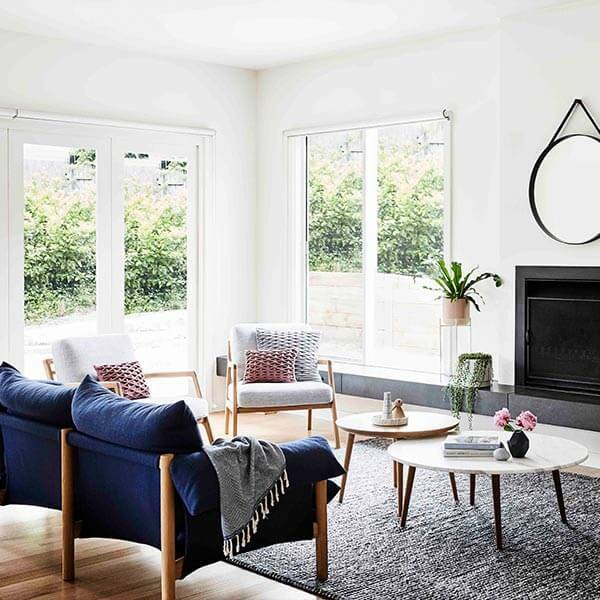 My recently-launched interior styling service ‘The Retreat Stylist’ offers consultation and styling packages for owners of short-term rentals on Victoria’s beautiful Mornington Peninsula. Having grown up spending weekends on the family farm in the area, I understand the moods, luxury and natural beauty of this coastal region. Owners of short-term rentals are becoming increasingly aware that it is no longer enough to simply open their home and offer holiday makers a bed for the night. I work with them to design accommodation that offers instant cosiness and personality which creates an impulse for guests to exhale as soon as they arrive. The Retreat Stylist’s interior decoration packages provide property owners the ability to effortlessly transform their home into retreat style accommodation for style savvy holiday makers, delivering increased occupancy, nightly rates and stylish appeal – both for holiday makers and our clients’ own enjoyment of their property. Reveal day! After getting to know my clients so well, from learning how they aspire to live and connect with each other in their home, to collaborating with them on every detail so they have complete trust in the process. It’s pretty humbling to design and create an interior that is a direct reflection of their own personal style. So, when everything finally comes together (thanks to our amazing trades and suppliers) and the last furnishings are installed, I can’t wait to see my client’s reaction when they see the completed spaces. Ready for retreat style living, everyday! I’d love to style for Lisa Messenger! I’ve been a long-time groupie of hers, having picked up her entrepreneurs’ bible ‘Daring & Disruptive’ very early on in my journey, to then launching my own business. Lisa has been a guiding force when I’ve needed inspiration, so I’d love to return the favour! 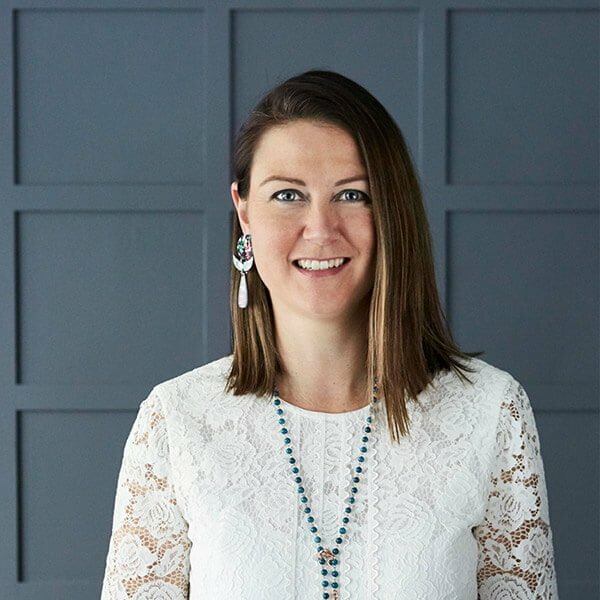 So many of her values are aligned to my own and those of Maitland Street Interiors – prioritising time to live each day to its fullest by chasing what you are passionate about and immersing yourself in an environment that supports this mission. So, why not make retreat style living part of your every day?! Hands down it’s getting immersed in nature. When I’m feeling a bit fuzzy or overwhelmed, I prioritise time on our family farm on the Mornington Peninsula spending it with the animals, walking the Red Hill trails or swimming in the ocean. Gosh the fresh air and stillness is good for the soul! If you could have one super power, what would that be? To time travel – is that even a super power?! If I could be instantly transported anywhere in the world that would be pretty awesome:) Imagine the creativity possible if you could just pop to Morocco in an instant, spend a few days sourcing and getting inspired and zip back? Or Palm Springs? Or Paris? Ah, the possibilities! What’s the one piece of advice you would tell you younger self? I’m a total perfectionist so self doubt kicks in when I don’t meet my own expectations – I’d tell myself that 80% is good enough and everyone will think that whatever it is is 100% awesome anyway. A rug that’s too small for a space! There’s an art to getting the proportions right in a room, and often as the item in a space with the biggest dimensions, it’s really obvious when it’s all wrong!! As a rule I like to ground a rug under each chair in a living space by up to 20cm and no less than 10cm. It should never finish in front of the sofa/chairs… it’s a sin! 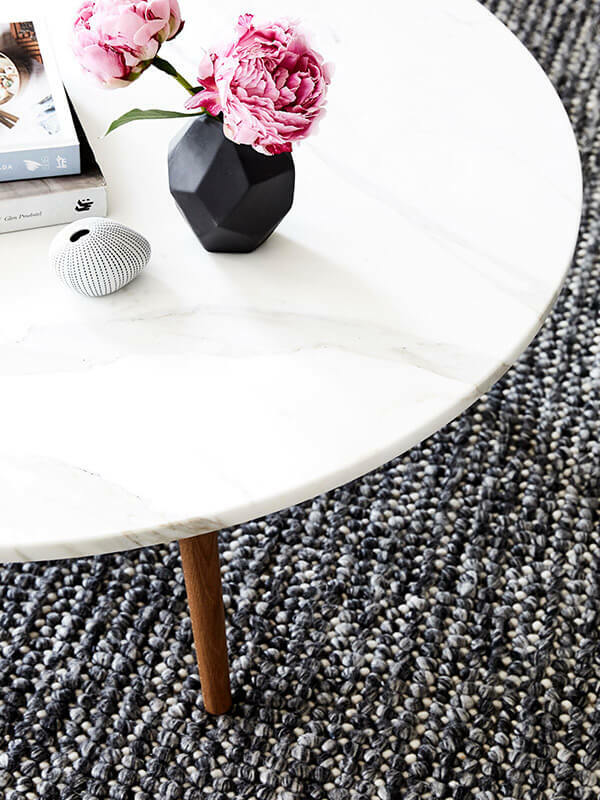 I love the texture, softness and depth of colour of the Magic Rug in storm – it always receives lots of ooo’s and ahhh’s when clients see it in their home and as a bonus it hides the messiness of life with kids. I have a few favourites depending on the purpose of my stalking! I love @oh.eight.oh.nine for Scandi goodness, @soulofgerringong for coastal style and @hermioneolivia for fashion and travel. I’m also obsessed with watching Melbourne makers craft their wares, so anyone with good #bts videos is a winner for me like @mdouglassdesign glass blowing and @clairbremner painting. 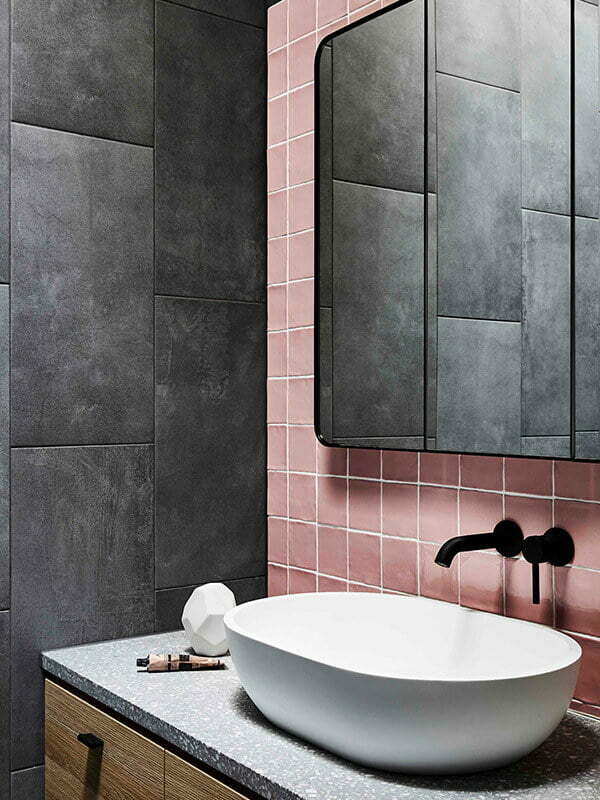 How can we keep up-to-date with your creative spaces and retreats? Join me on Insta… I have not one but 3 pages! 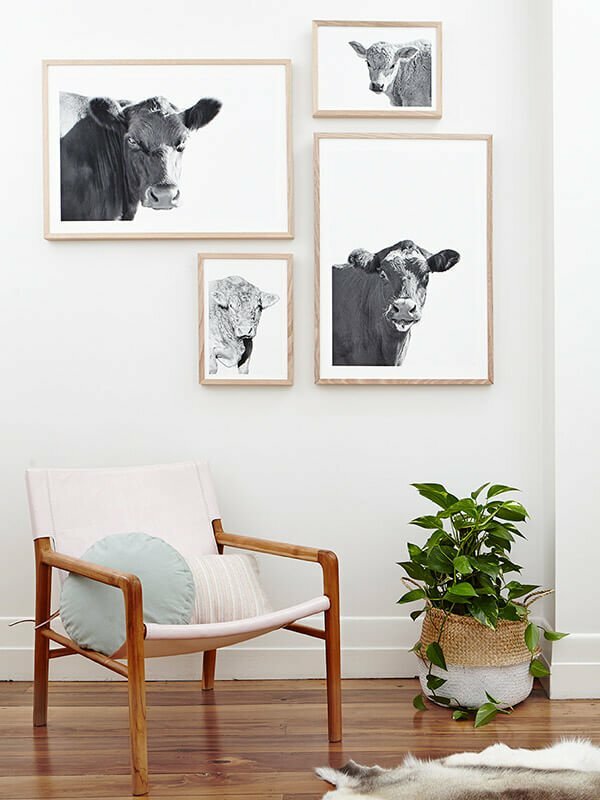 Not only do I love interiors and creating retreat style accommodation, but I also have a limited edition range of photographic prints of our cows, titled ‘Elise and Hugo’. You can purchase them online via The Interiors Assembly. I’m not one to keep things simple so of course there’s an Insta page for each of my creative pursuits!